Since 1992 it has been my goal to empower people with knowledge and direction so that they may achieve their fitness goals and lead a healthier life. We often neglect ourselves to put others first, but if you don’t make time for yourself now you may suffer for it later. It’s not just about what size we wear but more important how fit we are. 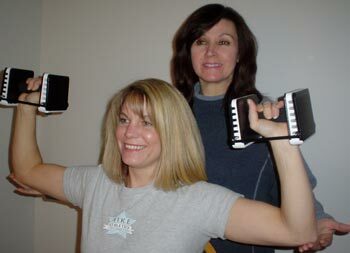 Eating right, strength training, and aerobic activity all work hand in hand to keep us healthy and strong. This allows us to enjoy our lives more and to maintain our independence so that we can be there for others who need us: our children, our parents, our significant others. Let me help you get past all the excuses. Take action now. Give me a call.